A university is an institution for higher learning authorized to grant degrees in the arts and sciences and in various fields such as law, medicine, and theology. Universities consist of an undergraduate division (i.e., a college) that awards baccalaureate degrees, and a graduate school and professional schools that award master's degrees and doctorates. Some of the largest and most respected nursing programs in the state of Texas are offered at top colleges and universities such as Texas A&M University, University of the Incarnate Word, University of Texas at Austin, Texas Christian University, and Texas Tech University Health Sciences Center at El Paso. Many of Texas’s top nursing employers actively recruit nurses with advancement potential from these and other prominent programs throughout the state. Some of the top nursing employers in Texas include Methodist Healthcare System, Tenet Healthcare, Memorial Hermann, Edinburg Regional Medical Center, and CHRISTUS Health. 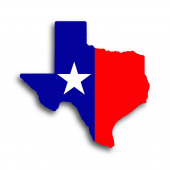 Below is a complete list of four-year colleges and universities in Texas that offer accredited programs in one or more nursing career paths. We’ve organized these schools by major metropolitan area.